The PM Program Build Service involves C&S Engineers working with your organization to create preventive maintenance programs for assets, real property, and compliance & regulation. The PM Program Build Service makes it easy for facility professionals to get their maintenance programs up and running with very little effort. Once the schedules are created, they will run and create work orders automatically making it a stress free experience for end users. 1. A meeting is held with the customer to review the scope of work and schedule. ​2. Each asset is researched to locate manufacturer documentation such as O&M manuals, maintenance procedures, parts lists, and diagrams (C&S has a large archive of facility asset documents). Once located, documents are then scanned and/or uploaded to each asset record in the customers Q Ware system. 3. 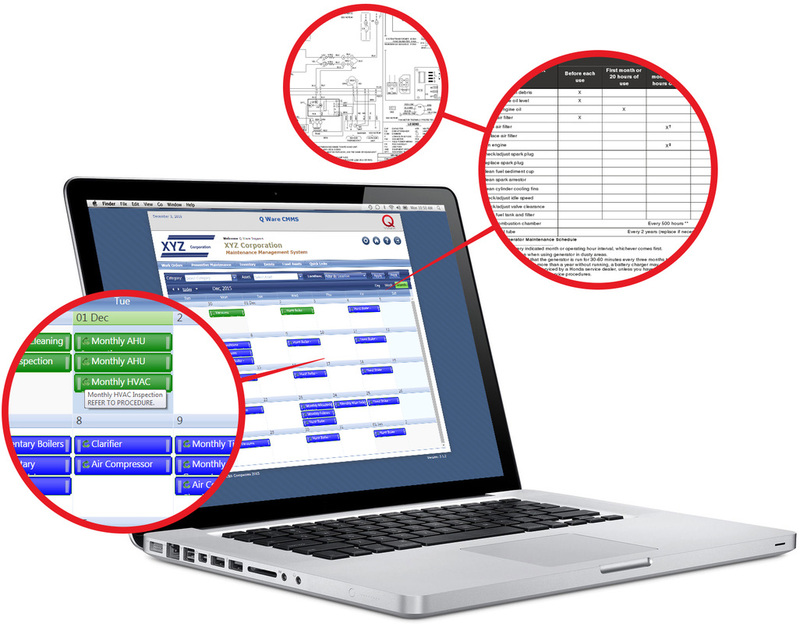 Preventive maintenance schedules are created in the Q Ware system based on manufacturer recommendations. 4. When the PM Program Build is complete, the system is reviewed with the customer to ensure satisfaction. The cost of PM Program Build services depend on the total number of assets that require the service, the extent of the required document uploads for each asset, and any travel expenses if necessary. Payment is due upon satisfactory completion of the service.